It all began one weekend in October 2010 when my daughter did her first sprint triathlon in Montauk. We left on Friday morning for Montauk and followed the tail of a tropical storm going out to sea and arrived mid-afternoon. All went well for her and we celebrated with wine at the Wolfer Winery followed by shopping. How else do ladies celebrate? Then came the spring of 2011. By this time she was part of the Full Throttle Endurance team and was headed to South Beach for an Olympic triathlon event and finished second in her age group! Amazing! Just to let you know an Olympic triathlon consists of 1.5 k swim, 40 K bike and 10k run. 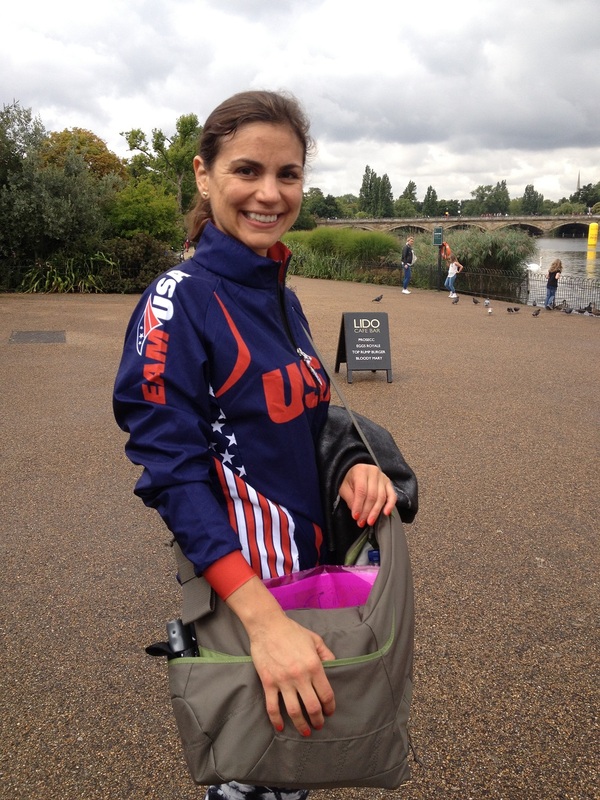 In August 2011and July 2012, she entered the NYC Triathlon and Elana finished #1 in her age group! Unbelievable! Then on to the Nationals in August 2012. If you finish in the top 18 of your age group in the Nationals you get to go to the World Championships in London in 2013. I just knew that if she placed in the top 18, we were all going to go to London.